304 stainless steel is a common material in stainless steel with a density of 7.93 g/cm3, also known as 18/8 stainless steel. With high-temperature resistance of 800 °C, it has the characteristics of good processing performance and high toughness. It is widely used in industrial and furniture decoration industry and food medical industry. Among the common marking methods on the market are 0Cr18Ni9 and SUS304, of which 0Cr18Ni9 generally represents the national standard production, 304 generally represents the ASTM standard production, and SUS 304 represents the Japanese standard production. 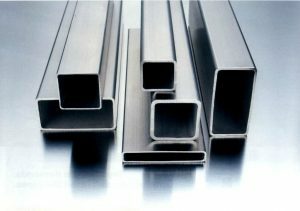 304 is versatile stainless steel that is widely used to make equipment and parts that require good overall performance (corrosion resistance and formability). In order to maintain the corrosion resistance inherent in stainless steel, the steel must contain more than 18% chromium and more than 8% nickel. 304 stainless steel is a grade of stainless steel produced in accordance with American ASTM standards. The etching process is to screen the acid-resistant protective film on the surface of the stainless steel, and then etch it with a ferrous chloride solution to form an artistic pattern. The spray color method is to spray the color particles after screen printing to form a pear-like surface to form an artistic pattern. The process of the color processing art processing method of stainless steel products is stainless steel products → silk screen → etching → alkali treatment → silk screen → oxidation coloring → alkali treatment → finished product. The process of etching the art of stainless steel products is: stainless steel products → silk screen → etching → alkali treatment → oxidation coloring → finished product. The chemical coloring method of stainless steel, instead of using pigments and dyes, is to immerse the stainless steel in a heated concentrated chromium sulfate solution for chemical coloration, which is characterized by good food resistance. The ink used in this processing method has a very strong acid resistance and generally uses a UV-curable ink having a special property compatible with the treatment process. Stainless steel products, especially stainless steel belts, often use the punching machine for stamping products. Stamping includes straight-through and stretch. Generally, the hardness is less than 1/2, and the tensile and bending are used. The hardness is higher than 1/2, which is hard. 1. Do not hold salt, soy sauce, vinegar, vegetable soup, etc. for a long time, because these foods contain a lot of electrolytes. If they are kept for a long time, stainless steel will also react with these electrolytes like other metals to make them harmful. The metal element is dissolved. 2. It is forbidden to use traditional Chinese medicine in stainless steel pots, because Chinese medicine contains a variety of alkaloids, organic acids, and other ingredients, especially under heating conditions, it is difficult to avoid chemical reactions with them, and the drugs are invalidated, and even some toxicity is generated. Large complex. 3. Do not wash with strong alkaline or strong oxidizing chemicals such as baking soda, bleaching powder, sodium hypochlorite. Because these materials are strong electrolytes, they also react electrochemically with stainless steel. 4. Can not be burned. Compared with iron products and aluminum products, stainless steel cookware has low thermal conductivity and slow heat transfer time. The air burning will cause aging and falling off of the chrome plating on the surface of the cookware. 5. To keep the cookware clean, always scrub, especially after storing the vinegar, soy sauce, and other seasonings, wash it in time to keep the cookware dry. 1. Do not wash with strong alkaline or strong oxidizing chemicals such as baking soda, bleaching powder, sodium hypochlorite, etc. Because these substances are strong electrolytes, they react electrochemically with stainless steel, causing the tableware to rust. 2. Before use, apply a thin layer of vegetable oil on the surface of the tableware and then dry it on the fire. This is equivalent to wearing a layer of yellowish oil film “clothing” on the surface of the dish. In this way, it is easy to clean and extend the service life. 3. Stainless steel tableware has lower thermal conductivity than iron products and aluminum products, and the heat transfer time is slow. The air burning will cause aging and falling off of the chrome plating on the surface of the cookware. Therefore, it is forbidden to burn. 4. It is not allowed to hold salt, soy sauce, vinegar, vegetable soup, etc. for a long time. Because these foods contain a lot of electrolytes, if they are kept for a long time, stainless steel will also react with these electrolytes like other metals to make them harmful. The metal element is dissolved. Not only damage to the tableware itself, but also damage the health of the human body. 5. After using stainless steel tableware, immediately wash it with warm water to avoid the effects of oil stains, soy sauce, vinegar, tomato juice and other utensils on the surface of the tableware, resulting in dull color and even dents on the surface of the stainless steel. 6. If there is scale formed by hard water, wipe it off with vinegar or a mixture of water and water to wipe the stain on the stainless steel tableware, then wash it with hot soapy water.